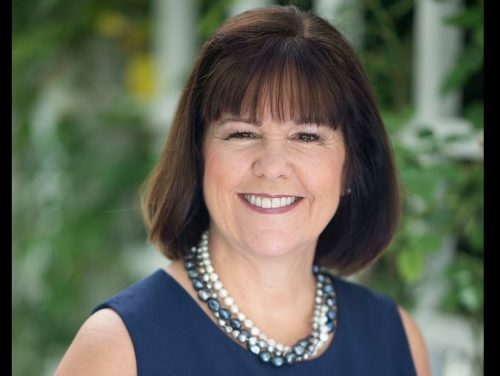 Donald Trump praised Karen Pence for getting a job at a school that bans LGBTQ people. At the National Prayer Breakfast in Washington, D.C., Trump thanked Pence for working at the school. “It’s disturbing that @SecondLady and @realDonaldTrump would put their stamp of approval on an institution that actively targets LGBTQ students,” GLAAD tweeted. In another part of the speech, he accidentally said that the “abolition of civil rights” is one of America’s greatest achievements. “Since the founding of our nation, many of our greatest strides, from gaining our independence to abolition of civil rights, to extending the vote for women, have been led by people of faith and started in prayer,” he said. The National Prayer Breakfast is hosted by members of Congress and organized by The Fellowship Foundation, a Christian organization. It has taken place every year since 1053 and every president has attended since Dwight D. Eisenhower. The guest speaker at the National Prayer Breakfast this year was Representative Steve Scalise (R-LA), one of the most anti-LGBTQ members of Congress.